What About Paris? : Clients want Excellent--not Perfect. Excellent is way harder than Perfect. Clients want Excellent--not Perfect. Excellent is way harder than Perfect. Clients 99.5% of the time are not paying you to be perfect. Clients don't want perfect. In the rare instances they do want perfect, they will let you know. So clients want excellent. Be excellent, not perfect. See, e.g., "Rule 10: Be Accurate, Thorough and Timely--But Not Perfect" of our world-famous and irritating but life-changing 12 Rules of Client Service. Perfectionism: The horror, the horror. 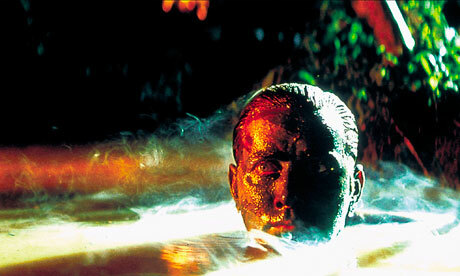 Above: Martin Sheen in Apocalypse Now (photo: Miramax).